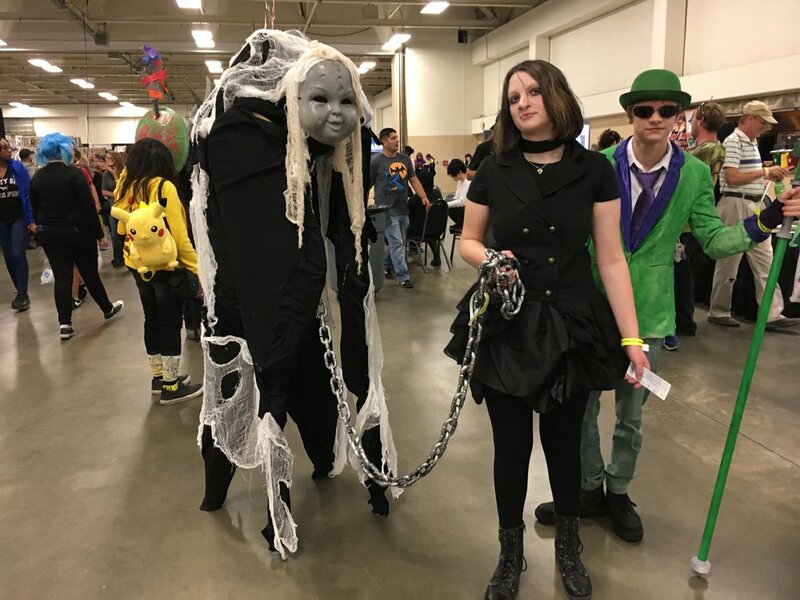 The Fayetteville Comic Con welcomes costumes of all types (just keep them family friendly). A special Junior-Level competition -- just for 15 and unders -- will take place on Saturday, October 20 at about 2 p.m. Please go early to the Cosplay Registration Table. Trophies and gift certificates to the winners! Plus everybody entering the junior competition will get an official Fayetteville Comic Con Certificate of Participation. Our Senior-Level 16 & over competition, will take place on Sunday, October 21, at about 2 p.m. You must register at least two hours before the event, however! Lots of prizes, including gift certificates, lots of cash and a Special Grand Prize plus a prize for active military cosplayers! 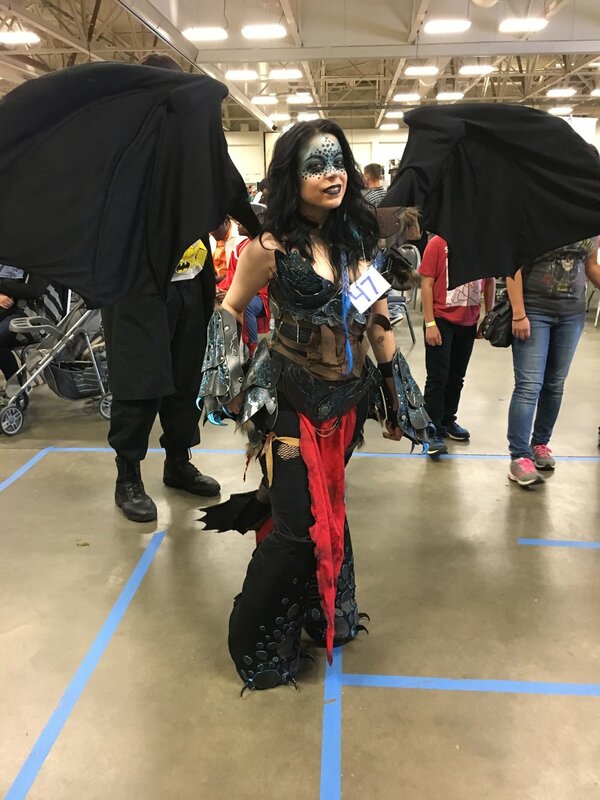 Helping organize our cosplay competition and also hosting cosplay seminars will be cosplay superstars Candace Phillips from AFK for Cosplay, Sarah Townsend, 2015 Grand Prize winner, and Rocky Melvin, 2017 SuperCon Grand Prize winner. The two most important rules to remember are to have fun and to use common sense! The Fayetteville Comic Con is a family friendly convention. All costumes worn at the convention should be suitable for public display. We reserve the right to insist on modifications to costumes. Shoes must be worn at all times. Generally speaking Fayetteville Comic Con Staff has the final say in what is and is not allowed at the convention. We appreciate your cooperation and we look forward to seeing all the wonderful costume contributions. · Metal Weapons– This includes live steel, throwing stars, swords, knives, shurikens, kunai, etc.. sharpened or not. · Projectile weapons – This is anything that shoots a projectile or could be enabled to shoot a projectile, including air guns, airsoft weapons, crossbows, “Nerf” weapons, or replicas of actual guns. 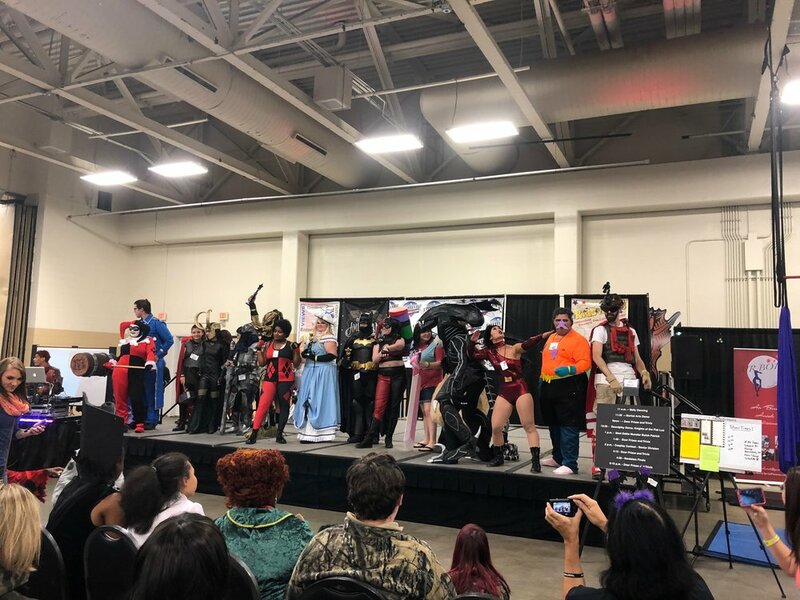 · Signs – This includes all message-based signs attached to costumes, picket signs, polling signs, and dry erase boards unless authorized by the Cosplay staff of Fayetteville Comic Con. 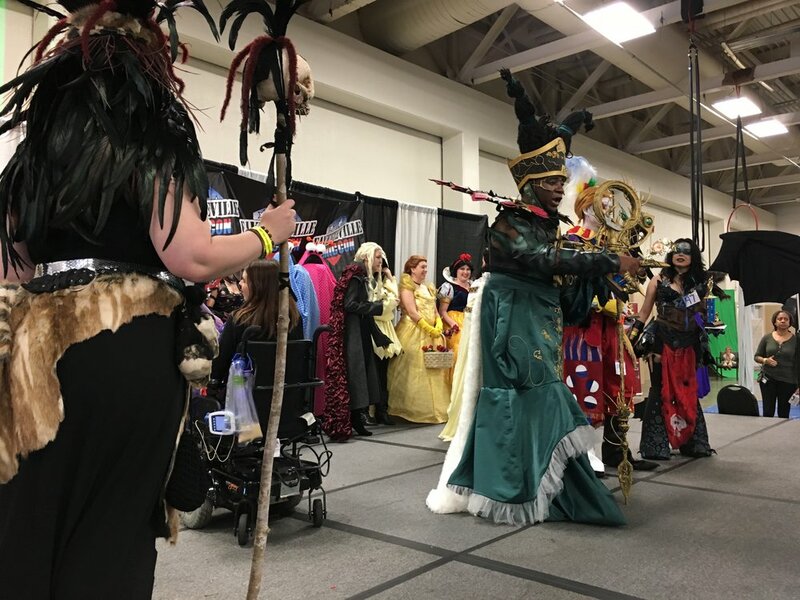 · All weapon props and staffs or walking sticks must be approved by weapons check and adorned with zip ties or other methods of Convention Staff before entering the building. The Weapons Check-In will be in the lobby of the Crown Center Expo Center. We will ensure that this in no way will affect the integrity of your weapons. · Realistic looking toy guns, even those that are not capable of firing a projectile, must be clearly marked at all times with an orange tip so that police officers and other security personnel do not mistake it as a real weapon. Fake weapons made from cardboard, Styrofoam, rubber, or other craft materials. Misusing a prop, or engaging in horseplay by swinging it around, sparring, etc., is the fastest way to lose the privilege of carrying it at all. You may be asked by the Fayetteville Comic Con staff or the convention staff to remove a prop. If this happens, you must cease wearing it and remove it from the convention area immediately. All props are subject to review by the Fayetteville Comic Con and Convention Center staff.